Google’s life sciences arm Verily is keeping tight-lipped about its work, but a very ‘top-level’ presentation by its chief technical officer last week hinted that the firm has hit obstacles to its ambitious projects. 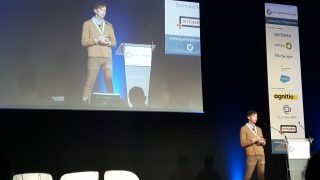 Brian Otis is Verily’s chief technical officer and was the final keynote speaker at the eyeforpharma Barcelona conference last week. Recurrent themes at the conference included patient-centricity and multi-channel marketing – but none had more attention than the phenomenon of tech giants moving into healthcare. However there are signs that such fears are, if not misplaced, then at least very premature. This is because Verily and others tech giants are finding healthcare innovation a difficult nut to crack. And in most cases, Verily is not going head to head with pharma, but working in partnership with it. This slide from Brian Otis captures the breadth of its work. Otis spoke broadly about the nature of innovation and meeting consumer and patient needs with new products. But he didn’t divulge too much new information about one of its lead projects, the ‘smart lens’ Verily is developing with Novartis. 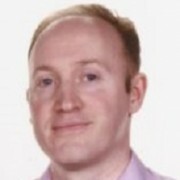 However the project is now running behind schedule, and a simple examination of its offer to patients compared to rival devices – the sort of thing pharma and medtech do all the time – suggests the device is heading for failure. Verily Life Sciences started back in 2012, when it was simply a team working in Google’s X lab, a collection of start-up groups for wildly ambitious concepts, so-called ‘moonshots’. One of its key projects was the glucose-sensing contact lens, an idea championed by Google founder Sergey Brin. Google then began working with Novartis (specifically ophthalmology division Alcon) in 2014 to develop the contact lens, which aims to continuously measure blood glucose levels for people with diabetes. The idea of creating such a complex device is indeed audacious, as the chip needs to not only house memory, but also its own integrated power management. The chip is fed by an equally tiny in-lens battery that can be wirelessly charged. There are, however, some serious doubts about the viability of the device. The biggest is the core idea of measuring blood glucose levels in tears, rather than from the blood itself. Trying to gain an accurate reading from a very small sample of tears will always be a less reliable marker than measuring blood glucose directly from blood – so much so that it could eventually prove unfeasible. However the partners haven’t tackled this question yet, as trials in patients haven’t yet begun. Instead it looks like they’re still struggling with the task of creating a reliable and functioning miniaturised, wireless-enabled device to fit onto the eye. For instance, Verily is understood to be having difficulties in getting the lens to link to apps and pass on the data it collects. In November, it fell to Novartis to inform the media that the project was behind schedule, and would not enter patient trials any time soon. A far better bet is Verily’s collaboration with medical device firm Dexcom on a miniaturised CGM (Continuous Glucose Monitor), which the partners said last year would be ready for launch in 2018. Dexcom already has a CGM on the market which allows patients to avoid daily finger pricking, the Dexcom G5 Mobile. It uses a small sensor just under the skin to monitor glucose levels. On top of this a transmitter is fastened, and this sends data wirelessly to a compatible smart device. Things are moving fast in the CGM world, with many competitors preparing to launch CGMs, and more ambitious ‘artificial pancreas’ devices. That means the smart lens idea could soon get left behind by these advancing technologies, whether it works or not. Does it truly answer a patient need? Many speakers at the eyeforpharma conference said one common mistake in digital tech was innovation for innovation’s sake – something that doesn’t properly answer a patient or consumer need. There are a number of other very practical obstacles to the smart lens idea. First of all, even people with eyesight problems are reluctant to wear contact lenses, as putting them in and taking them out involves touching the eyeball – something nearly as inconvenient as a twice-daily finger prick. For those who don’t need vision-correcting contact lenses, getting used to them and persisting will require determination. Second, most contact lenses can’t be worn when asleep, and those that can are much more expensive. If Verily’s lenses have to be taken out before bed, this obviously means no data is recorded at night – a crucial period, especially if the diabetes patient is at risk of hypoglycaemia. Third, natural wear and tear and risk of infection means most brands of contact lenses need to be changed every fortnight or once a month at the most – a factor which will push up costs to the user very significantly. Fourth, what happens if a user already wears vision-correcting lenses – do they have to switch to wearing glasses? Alcon is working on these issues – but squeezing all these functions into a single lens (or pair of lenses) is an enormous technical challenge. Interestingly, Otis zeroed in on this goal of patient-centric innovation in his presentation. This is just the kind of dilemma pharma companies come up against in drug development – but is of course new territory for Verily. 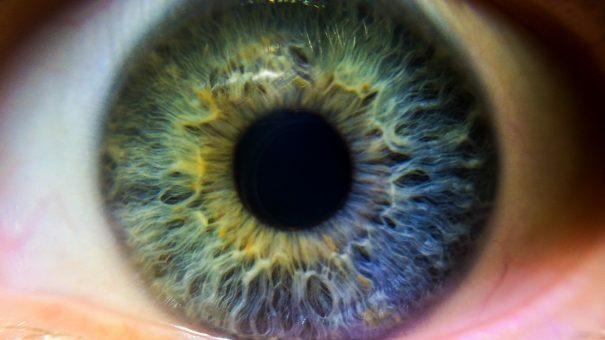 Verily and Novartis haven’t been forthcoming in explaining how they will tackle these issues – but Alcon can’t afford to jeopardise its reputation as an eyecare company to develop a device which creates new problems for users. Compare these challenges to the existing technology of CGMs, and the appeal of the device looks shaky at best. Finally, CGMs are facing consumer resistance because of their cost, but the smart lens is likely to be many times more expensive than these. There are, however, plenty more promising projects in Verily’s pipeline, and many of these rest more on core Google strengths, such as data management. One definite signpost to future developments recently came from one of its pharma partners, Sanofi. Its head of diabetes and cardiovascular medicine Peter Guenter told pharmaphorum recently he expected pilots of their joint venture Onduo to start in 2018. But as for the smart lens, everything considered, Novartis and Verily should probably abandon it. After all, another much-loved maxim of modern tech and pharma innovation is to ‘fail fast’, learn lessons from it and move on to a better idea.